To fit: Saab 9-3 Sports Saloon 2003 to 2007, all 4 door models. 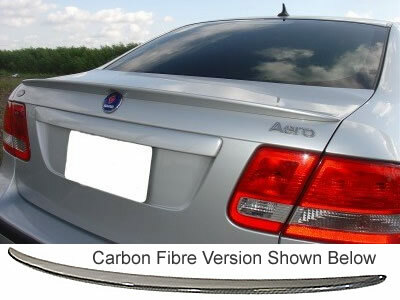 This spoiler is a high quality copy of the original Aero style spoiler, made from fibre reinforced plastic, suitable for priming and painting to match the car. Supplied together with fitting instructions. The spoiler is attached by use of supplied Polyurethane Sealant/Adhesive, no drilling is required.